เมื่อสมัย 40 ปีที่แล้ว กระแสคลั่งไคล้ของวัยรุ่นไทย สืบเนื่องจากการเลียนแบบดาราต่างประเทศมาดยียวนกวนมาก แถมหว่านเสน่ห์ของ เจมส์ ดีน และบทเพลงจากอเมริกาในยุคซิกตี้ส์ แพร่อิทธิพลไปทั่ว แฟชั่น "มอสขารัก เดฟขาลุย" เป็นสัญลักษณ์ของบรรดาจิ๊กโก๋-จิ๊กกี๋ ซึ่งมีศูนย์กลางการปรากฏตัวนัดประชันขันต่อกันที่ย่านวังบูรพาภิรมย์ บทพิสูจน์การเป็นหนุ่มสาวของใครต่อใครหลายคนเริ่มต้นขึ้นที่นี่ ที่ซึ่งพวกเขาเหล่านี้ถูกขนานนามว่า "โก๋หลังวัง"
It was an innocent time, a time for pastel dresses, jukebox music and Elvis worship. Life in Bangkok then was a very different from now, when the boys did their hair like James Dean and the girls wore outfits with an eye towards prudence. At one of the local dances, attended to by all the young people in town, a boy meets a girl. As they dance together for the first time, a love is born. And first loves, in a way, always last forever. But is everything as it seems in this idyllic place and time? For, as she is soon about to discover, looks can be deceiving, and the young man she has just become devoted to may be a lot more vicious, and dangerous, then she ever could have imagined. Is an era of peace and innocence about to end? Jack hook up with an American, George, through Facebook and decides to go on a roadtrip together from Bangkok to the beaches of Phuket. On the way, they pick up Khaimuk, a girl who has decided to run away from home, and Yui, a Japanese tourist who also happen to be going to Phuket. The guys and girls start to have feelings for each other but can't make up their minds who's going to be with who. Note (Komane Ruangkitrattanakul) is planning to propose to Nam (Benjanat Auksornnan). They dream about a simple wedding by the beach at a beautiful resort in Hua Hin. With Nam's boss, an advertising agency owner, Nueng (Billy Organ), and his wife Winnie (Sonya Cooling), the resort owner and former actress who plan to return to the show business, help making it come true. The couple also gets help from their friends. Ploy (Khanitkul Netboot), to record this hectic story before the wedding day. Tam (Wathanyu Niwatsaiwong), an annoying photographer, who can shake Ploy's heart. Their story is as chaotic as Guy's (Surakeat Boonnak), Winnie and Nueng's dear son, and Boat's (Wattana Chumsai Na Ayutaya), the head chef at the resort. The hippest wedding concept by the weirdest advertising creative, Zuzie (Archita Sikhamana) started to get together. In the meantime, other love stories begins, but the soon to be husband and wife encounter the biggest challenge in the relationship. Two desperate people, on their verge of committing suicide, meet and decide they're not quite ready to die yet, which is based on a true story. 30-year-old gambling addict Somchai (Pierre Png) finds himself so debt-ridden that he can see no light at the end of the tunnel. Koko (Arissara Wongchalee) is equally desperate. Both of them meet on the top of the same building, just before taking the plunge. They talk, share their pasts and agree that there's nothing in the world that a person who dares to die like them couldn't do. In 1977 a mentally retarded woman was traveling from Bangkok to Uttaradit near Chiang Mai by train without a ticket and was thrown off the train somewhere near Phitsanulok in central Thailand. The next day she was gang raped and murdered to shut her mouth... who was responsible for this? This film is about the police investigation into this case which is 100% true and was eventually solved. A gang of Thai American hip hopster home boys in Los Angeles are working for an older Thai mob boss selling drugs and doing any sort of crime they can. Their boss is as ruthless as the older "godfather" if not more so. One of the gang members is the son of a middle class Thai family who has a Thai restaurant. His father is a tax evader the IRS is after. His daughter tries to help his tax problems and convince her brother to stop his crime spree. 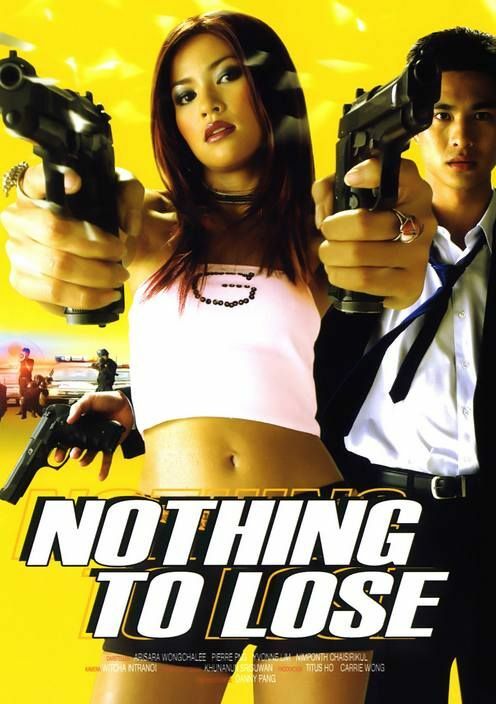 Little known to the gang a Thai cop comes over from Bangkok with only one thing in mind, which is to get them all busted. He goes to work in the restaurant saying he has worked in restaurants in Thailand. He knows this is the place he can get information on them but the family soon realizes he has never worked in a restaurant before. The gang soon becomes suspicious of him as well and do everything they can to stop him. โศกนาฏกรรมแห่งรักสามเส้าที่ต้องเลือกระหว่างสายเลือดหรือคนรัก เมื่อ เม่น (ปราโมทย์ แสงศร) ต้องเผชิญกับความจริงที่ว่าผู้หญิงที่ตนรัก (สุทธิดา เกษมสันต์ ณ อยุธยา) มีใจให้กับพี่ชายแท้ๆ ของตน (สมชาย เข็มกลัด) ทุกความเจ็บช้ำถั่งโถมใจให้เจ็บแปล๊บ...ทุกภาพอดีตตอกย้ำให้ช้ำเกินกว่าคำว่าเสียใจ ใครเลยจะเข้าใจถึงวินาทีที่อ่อนไหวของคนสิ้นหวังในรัก เมื่อโลกทั้งใบเธอมอบแล้วทั้งหัวใจให้เขาเพียงคนเดียว!! This film is all about a not so good brothel in the suburbs of Bangkok. There it shows the lives of the girls who all work there for different reasons. Some to find a husband and some to get money to send home to their families in the provinces. The main character is a woman named Lin Chong who is older and the guiding light for the rest. She has a son who thinks she is dead and she is paying his way through university in Bangkok by sending all her money to her mother who knows exactly what she does but does not tell her son. One day her son and his friends at school all decide to lose their virginity and visits the brothel. In Thailand's ancient capital, Ayutthaya, a grand heist is executed to perfection. The gang gets away clean, but everything turns sour when they meet up to split the money. Lamai, the brains behind the heist, has double-crossed the leader of the gang, Kao, and tipped off the police. Kao escapes the police ambush with the other gang members. To Lamai's surprise, he discovers that the money has already been switched! But how? Who pulled the switch? The conspirators all suspect each other. The film that resulted documents the weeklong vacation of Mamee and her two best friends, Yo and Belle. Planning on catching up on old times, the friends find out that it is not so easy to block out the realities of their lives in the city. As soon as they reach the island, problems arise and a feeling of disconnectedness descends on them. Nobody wants to sleep in the same room as Belle because she snores. Yo is only concerned with finding a phone signal so she can call her boyfriend back home. Meanwhile, left on her own, Mamee befriends a young Japanese student who is living on the island to do water research for his university degree. But they find themselves separated by language. 3 Friends was filmed completely without a script, all the dialogue, scenes, and conflicts arising out of the real-life situations of the three girls. In the end, the finished film is about many things. It is our own version of the "movie star exploitation" film, it is an experiment on the limits of the fiction and documentary forms, but most of all, it is a portrait of 3 friends on the edge of adulthood, growing up and apart in modern-day Thailand.